While the now $399 Apple iPhone will dominate the news Thursday, Motorola has chimed in to remind everyone that its RAZR 2 is now available through wireless carriers across the United States. But its $299 to $349 price tag won't likely bring out long lines. The RAZR 2 V9 is offered by AT&T while the CDMA V9m is sold by Verizon, Sprint and Alltel. T-Mobile will likely sell the RAZR 2 V8, but the phone is not yet listed on the carrier's Web site. 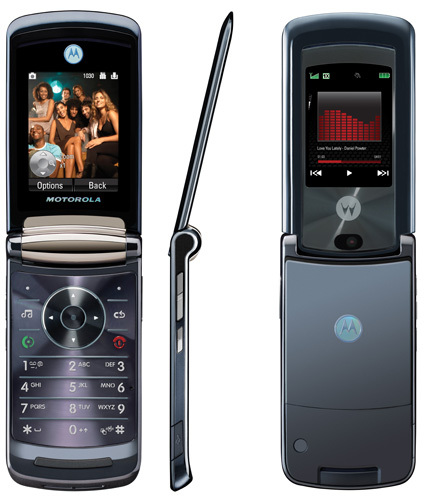 Motorola is hoping to bring back the glory days of the original RAZR by adding features such as Windows Media Player, 2GB of on-board memory and a full-HTML browser. But the company faces stiff competition from LG, Samsung and now Apple.